First of all, Fla-shop.com wishes you a happy New Year and a lot of professional success. But now the holidays have gone and it’s time to work… Of course, with the exciting innovations that we’ve prepared for you. Locator interactive maps v. 2.9.9 are available! 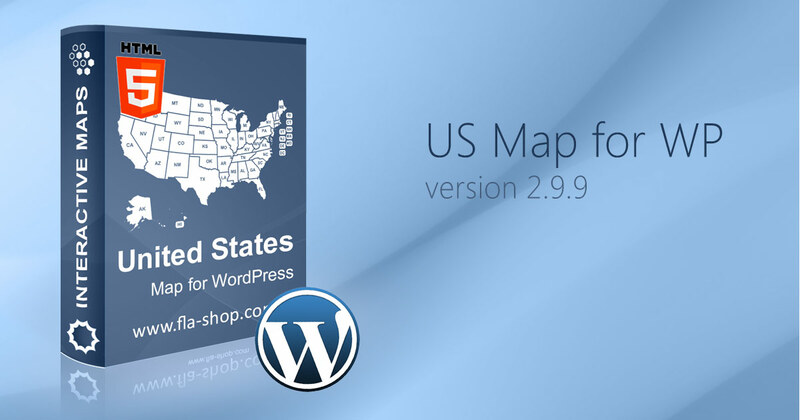 This feature allows applying the same settings to several states (counties, countries and so on, dependant on the purchased plugin) or to the whole map. This feature allows opening the access to plugin settings for the users with “Editor” role, along with users with full administrative privileges. This option makes your interactive map more comfortable for mobile visitors. Just click on the state directly or select the state via the dropdown list and you will get the same result – opening the link or displaying the content alongside the map. We improved the interface of our plugins. 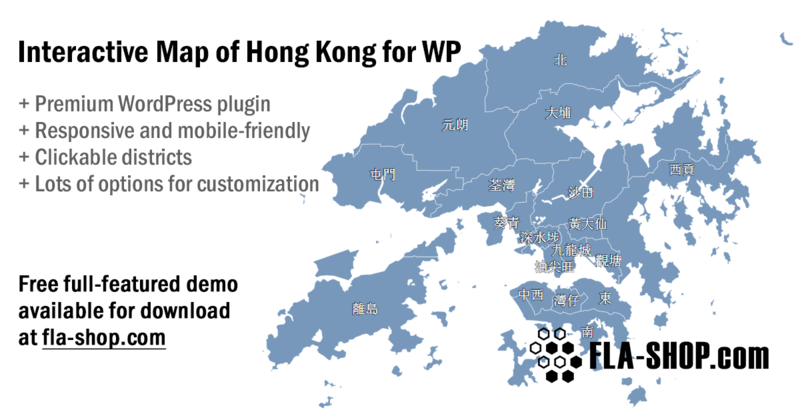 We are glad to represent you a new WordPress Interactive map of Hong Kong with all of its districts. This plugin will be useful for real-estate, recruiting or interactive websites. You can also use this plugin to display any kind of statistical data or to create interactive infographics. For more information visit the Hong Kong interactive map product page. We constantly develop custom interactive maps for our clients, and now we are glad to represent the custom interactive map of Wyoming. This interactive map represents new capabilities – roads visualization and customised icons on the map. Get Customized Map from Fla-shop.com!